Over the past 18 months, I’ve published numerous blogs about the mobile service for SAP Fiori and how it can help customers achieve the full potential of the Fiori/SAPUI5 investment on mobile devices. Aside from a recent post talking about my colleagues who were attending SAP TechEd Las Vegas, I’ve been pretty quiet. Why is that? You might ask, and I’m glad you did. I’ve been working on a secret project. But let’s back up. For anyone that’s done any testing with the mobile service for SAP Fiori, you know that alot of the actual “heavy lifting” is done by SAP Cloud Platform Mobile Services. Push, Offline, Log levels, feature management, app security, the Fiori Client and the Kapsel SDK are all provided by Mobile Services. The mobile service for SAP Fiori took these (mostly) runtime components and created features and workflows to simplify the end to end process. The most important of these features is the cloud build service. The cloud build service allows customers to transform their web based SAP Fiori apps into hybrid apps, complete with robust customization capabilities, completely in the cloud. The cloud build service was unique to the mobile service for SAP Fiori. I’m happy to say that, while the cloud build service continues to be part of the mobile service for SAP Fiori, it has been added as the “Cloud Build Feature” to SAP Cloud Platform Mobile Services. Let’s take a closer look! 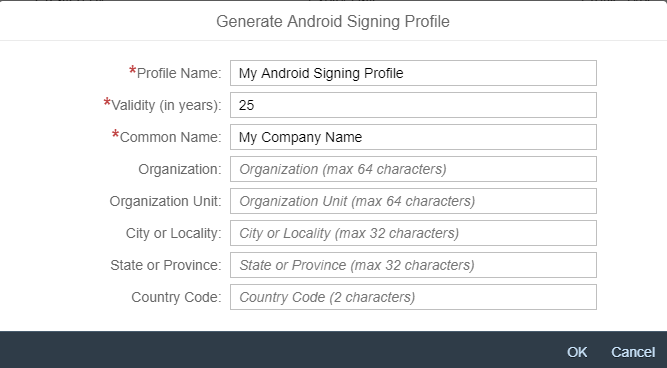 There are 3 key areas where a Mobile Services customer could interact with the Cloud Build Service – when creating Destinations, when creating or updating Signing Profiles and when creating Application definitions . Fiori destinations are designed to point to a Fiori Launchpad / Fiori application URL, and are the only type that can be used by the Cloud Build Feature. A destination for SAP Fiori Cloud is automatically created for you, you’ll only need to add a new destination if you’re using something other than the default SAP Fiori Cloud Launchpad. For example, if you are running your Fiori Launchpad on-premise, you would need to create a destination here in order to create a mobile app later on. Specify Device App Name. This is the name that end users will see when they install the app onto their device. Then specify a Fiori Destination. If you want, pick your own icons and splash screens. This is particularly useful if you want to create an enterprise branded user experience for your mobile app. Save those changes! What is it that you’ve built? Your newly generated app is a custom SAP Fiori Client. It’s essentially the same app as you would download from the commercial app stores, but it’s pre-configured with your branding, pre-populated with the correct connectivity information, and it’s signed so it’s ready to install on your mobile device. To learn more about the SAP Fiori Client, please refer to the Overview in the SAP Help Portal, or the dedicated section on SAP EA Explorer. And that’s it! The Cloud Build Feature is now a first class citizen in the Mobile Services fabric of capabilities. It can be used in conjunction with other features. Need your app to have a password, or want to gather usage information about the app you just built? Configure the Client Policies feature. Yes it is can be that simple. We’re not done with the Cloud Build Feature, not even close. But since we don’t discuss roadmap items in blogs, you’re just going to have to stay tuned…. Excellent news!! Time to try it out. Sandip – actually, the feature behaves similar in both mobile services as well as Fiori mobile – on-premise launchpad and cloud launchpad should both be supported. With Fiori Mobile Service, I could not find a way to add On-prem FLP as destination. And hosting the Apps on cloud FLP was a no-no. With both Fiori Mobile & Cloud Build – why is it mandatory to register the hybrid Apps to a FLP? Can we have a standalone App on user’s device which does not have option to navigate to a FLP. And when the user opens the App, it will ask for SCPms credentials and take you to the App Home Page. Just like a regular Mobile App. Hi Sandip – You absolutely can add an on-premise FLP as a destination under Account > Fiori Mobile. 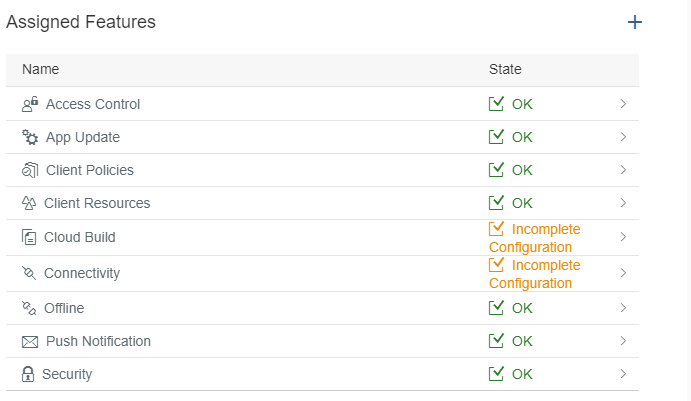 You’d first need to add the connection via the SAP Cloud Connector so you can get your virtual host and port. Then you can add it as a new Fiori Mobile connection. We are looking at options regarding deployment to FLP – stay tuned ! Will these two co-exist indefinitely? Our app still references #1. If I create a brand new app will it reference #2? How will I edit the settings, e.g. for the URL re-writing? I note there doesn’t seem to be a reference to the CPms destination in the project settings or in Mobile Secure.